I have just returned from a massive international conference in Cardiff for natural history curators. It was organised by three giants in the world of natural history; the Society for the Preservation of Natural History Collections (SPNCH), the Natural Science Collections Association (NatSCA) and the Geological Curators Group (GCG). Although there were talks all week long from museum folk from all around the world, I only managed to go for one day of the talks. It was fascinating to see what so many museums were doing with such a variety of exciting projects going on all over the world. It was interesting to notice that the talks highlighted how those museums overseas were way ahead of us in the UK on digitising their collections; whereas we were doing much more on engaging audiences without collections. These types of conferences are great to see good friends from different museums and meet new ones. Everyone is full of passion and enthusiasm about their collections and it is an awesome opportunity to share what we are up to, and think about some whacky new ideas. What was fantastic about this year was there were several ‘trainee’ curators coming to the end of their contracts, and some who’s contracts had just finished. Getting a job in a museum is difficult, but coming to a conference is one of the best things someone can do if they are starting out; network and get to know people. Curators know how lucky we are to work in a museum. We are privileged to be in charge of awesome collections. For many of us, it was extremely hard work to get that first paid job in a museum. But determination and hard work will get you there. I don’t like to write about myself, but I think it is important to share experiences so that others can learn from them. I also think we should never forget how we got to where we are today, because we all struggled at one point or another in our early careers. Here is a little account of how I got into museum work and the difficulties I faced. It would be a perfect story if I said I was inspired to work in museums since the age of 6 after seeing that magnificent dinosaur skeleton towering above me. The truth is much less exciting but, as with all good tales, it does involve a little serendipity. I was never taken to a museum when I was younger. I knew about them, and loved films like One of my Dinosaurs is Missing, and the fantastic The Land that Time Forgot. My first experience of visiting a museum was actually at University where I worked on a tiny fossil mammal project using the fossils from the collections at the National Museum Wales, Cardiff. I felt privileged to walk behind the scenes and experienced an unexplainable new feeling of pure excitement with this newly discovered pleasure. I flirted with the idea of working in a museum for a little while, but my sensible side told me to look at something where there were more jobs. So after studying Geology, I went on to study an MSc in environmental geology. The course was badly taught, not well supported, and I found it terribly boring. I was reluctantly looking at jobs in the environmental consultancy field. Here was where serendipity snuck in. At the end of the year I helped out with a Science Day at the university showing rocks and fossils to the public. I saw a chap struggling to get an enormous skull through a door so I skipped over and gave him a hand, and we got chatting. He told me he worked for the Natural History Museum, London and he gave me his card. In that one moment, skipping across a road in the sunshine, my future was sealed. 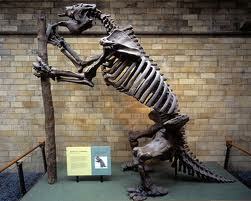 I volunteered at the Natural History Museum for over a year working with the chap I helped on that fateful summers day; Andy Currant the Curator of Quaternary Mammals (Ice Age animals). I was very lucky to volunteer there, and even more lucky to have Andy as a supervisor. He is the kindest, funniest and most knowledgeable person I have had the honour of meeting. He taught me a lot by setting me up on lots of different museum projects giving me a good overview of museum work. His passion for sharing knowledge and showing recognition for his volunteers is one I hope I carry on today. Volunteering isn’t easy. You need money to survive and live. A couple of days in the week, and most nights I worked in a bar in Clapham to earn cash. I was also very lucky to find cheap accommodation otherwise volunteering would have been unaffordable. Long days and late nights was exhausting, but worth every beer I poured. After London, I moved to Bristol. It is a lovely city and lots going on. But it is also expensive. I got a temping job for an IT helpdesk. (Sounds really technical, but it wasn’t. People would call up with a problem, we would ask them to turn the computer off and on, and most of the time this worked. Otherwise we followed scripts for specific problems.) As fascinating as working on an IT helpdesk was (not), it was a stop gap. I worked long days so I could get one day a week off. This free day was used to volunteer at Bristol City Museum and At Gallery. 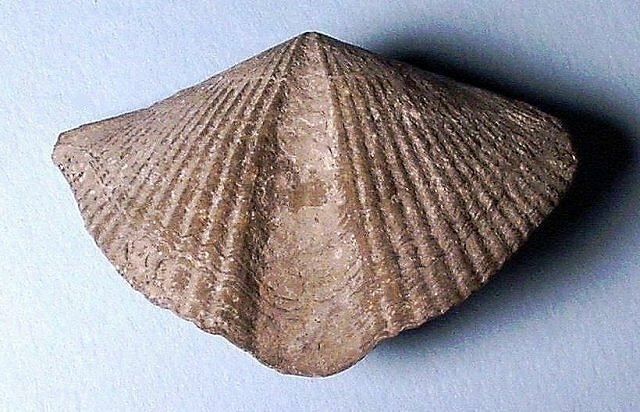 I volunteered with the Geology department at first, spending months cataloguing fossil brachiopods. I also got involved with some outreach events talking to people about the collections, which was great experience. My supervisor at Bristol couldn’t have been more different from Andy. It was a shame he didn’t really show any acknowledgement towards his volunteers. There was little support for us, and little encouragement to apply for jobs: When I mentioned I was going to apply for a job at Plymouth Museum for maternity cover for assistant curator of natural history, their response was ‘You won’t have a chance. You don’t have any biology experience’. It so happens that I did go for that interview. And here I am today. I did learn something from the supervisor in Bristol; how not to treat your volunteers. Museum jobs are hard to come by today, especially with cuts and posts not being filled at present. I was lucky when I was looking for a job, because, in 2001 the government had created an enormous fund to help support museums and increased jobs, known as the Renaissance Programme. Museums were able to apply for ‘Renaissance funding’ which helped with their collections work, outreach and work programmes for the museum. This was a fantastic investment into museums, and has resulted in a myriad of successful projects, increased visitors and greater uses from the collections. The programme is still around today looked after by the Arts Council England. Remember, there are different types of jobs in a museum including front of house, education, marketing, design and conservation. Some may be a foot in the door to get to where you want to be. If you can’t volunteer with a curator straight away, enquire about volunteering in a different department. Try and do something outside of your comfort zone. I got experience with pressed plants, and lots of experience at outreach events. These helped enormously in job interviews. Many jobs in museums that are coming up are project related for a certain time. Have a look at them, and go for it! Speak to people. If you are volunteering, chat to other staff at the museum. It’s terribly boring, but listen to the ‘lingo’. Words like ‘documentation’, ‘accessioning’, ‘engagement’ and more, are really great to get into application forms and job interviews. Be enthusiastic (but not overly enthusiastic!). I had to catalogue fossil sea shells for months…it seemed like years. Keeping a smile and asking my supervisor questions, got me to hear about different opportunities. Keep an eye out on the Leicester Museums Studies job site which is updated every Friday. In life, you can be anything you want to be. If you have the passion, enthusiasm, and patience you can do absolutely anything. Nothing is stopping you. Got for it. Australia’s native fauna are undeniably odd and none more so than the curious monotremes (the Monotremata). These egg-laying, milk-producing, furry creatures are mammals, but with organs and body parts that may be more at home in birds or reptiles including a cloaca, an interclavicle bone, and ankle spurs on adult males. These unusual features hint at the ancestry of the monotremes, which are thought to have diverged from the rest of the mammals some 220 million years ago. 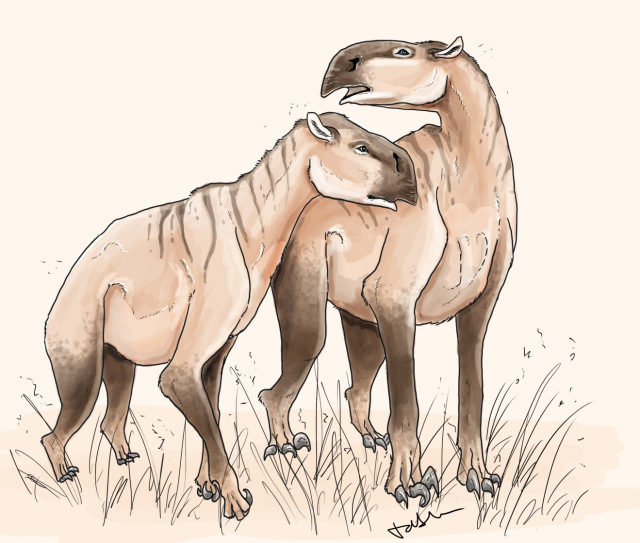 Twilight beasts come in all shapes and sizes, with some being more familiar, like the sabretooth cat, Smilodon, and others less so, like the strange mini-sheep, Myotragus. 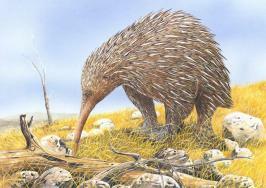 Although we have some fossils, there are still a lot of awesome things to learn about many extinct animals. After almost 200 years from the discovery of the first member of a very bizarre group of creatures, little is still known about them even today. This beast isn’t an iconic mammal, but it should be; it was one of the last of its kind, and also witnessed the origins of our own species.